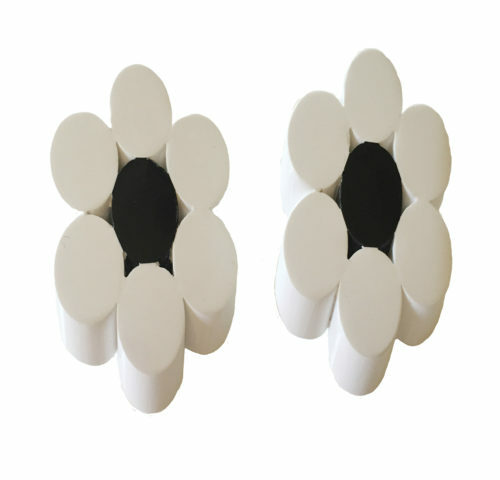 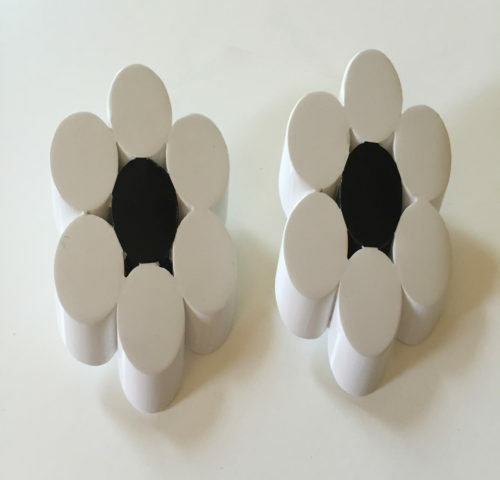 These stylized Judith Hendler sliced floral clips are formed by a cluster of acrylic tubes forming a design that resembles the Opt-Art designs of the 1960s. 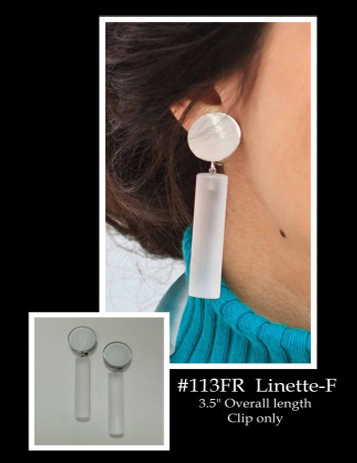 Thoroughly modern, these earrings are perfect for both summer and “Cruise Jewelry,” as well as winter fashion. 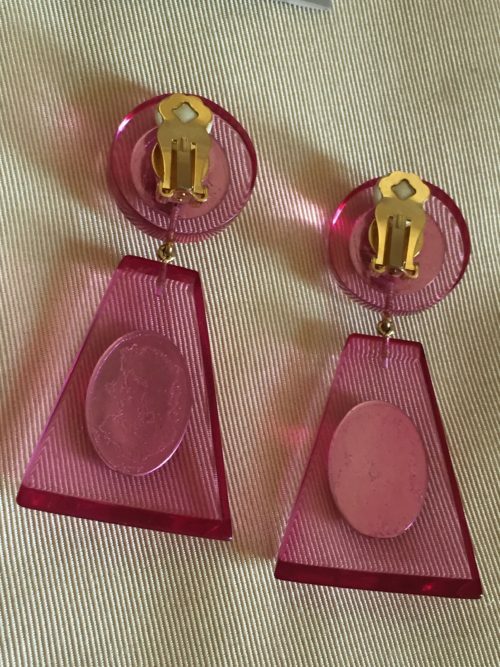 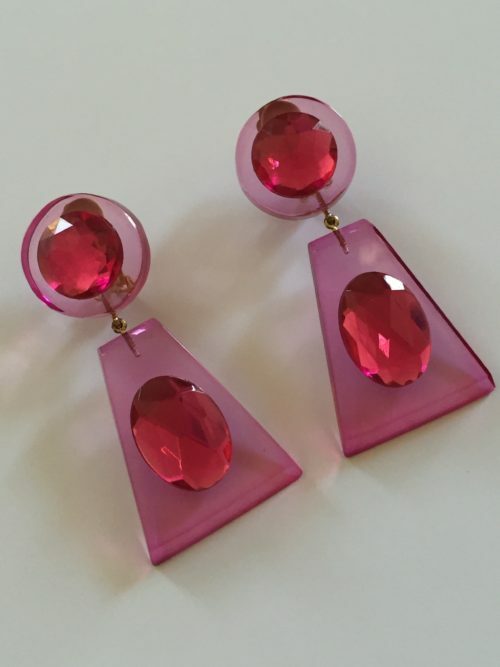 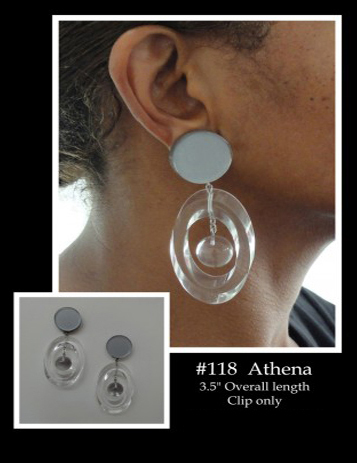 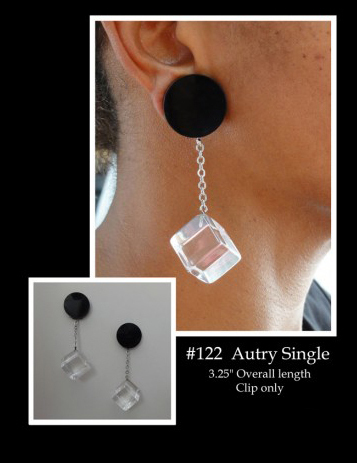 These vintage earrings are stylistically fashion forward despite being a vintage design from the 1980s.